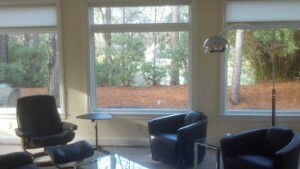 On a recent Hilton Head Island broker tour I was able to tour these two incredible homes that have just hit the market. 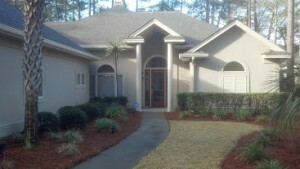 Both are in the same community of Hilton Head Plantation and are priced between five and six hundred thousand dollars. Before we chat about these two awesome properties, let’s review some of the features and amenities of Hilton Head Plantation community, the largest residential gated community on Hilton Head Island. Hilton Head Plantation occupies almost 4,000 acres on the northern corner of the Island with frontage on Port Royal Sound and the Intracoastal Waterway. This community offers to its residents all the amenities of a resort. Within the confines of Hilton Head Plantation, you’ll find Bear Creek Golf Club, Oyster Reef Golf Club, Dolphin Head Golf Club, and The Country Club of Hilton Head. There are twelve tennis courts, jogging trails, nature conservancies, a community recreation center, two miles of beautiful beach on Port Royal Sound, and the most glorious sunset on earth at Skull Creek Marina located directly on the Intracoastal Waterway. In addition, there are excellent dining and shopping facilities. There are four golf courses (72 holes), two of which are open to the public. Take a look at the beautiful homes below. One of these Hilton Head Plantation homes below is priced at $599K and the other is $579K. Which would you guess is the best deal? This 3 bedroom, 2.5 bathroom home is in a quality location and offers unparalleled value. A harcdoat, stucco home with split bedroom floorplan, this home features spacious rooms with high, smooth ceilings throughout. The kitchen includes a large center island, double oven, breakfast nook, built in cabinets, and direct access to the formal living and dining rooms. The circular driveway even boasts spectacular lagoon views and a beautiful fountain to welcome you home. This home is located in the same desirable subdivision of Stonegate, a high end development within Hilton Head Plantation. There are 3 bedrooms and 3.5 baths in this hardcoat, stucco home that overlooks a park-like yard and the lagoon. There are new hardwood floors throughout the 1st floor where the large master bedroom, living room with fireplace, dining room, and large bright kitchen open to a breakfast family room. 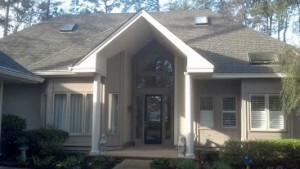 Upstairs are 2 large bedrooms each with their own full bath and walk-in closets, plus a private office. Both of these homes offer spectacular views and modern conveniences. When deciding which is the best deal, the decision rests entirely on you preference. Which property looks most like home to you? 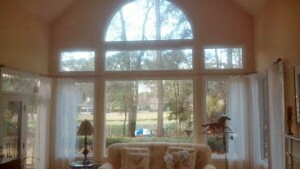 If neither piques your interests, contact me today to learn more about other available homes in Hilton Head Plantation.